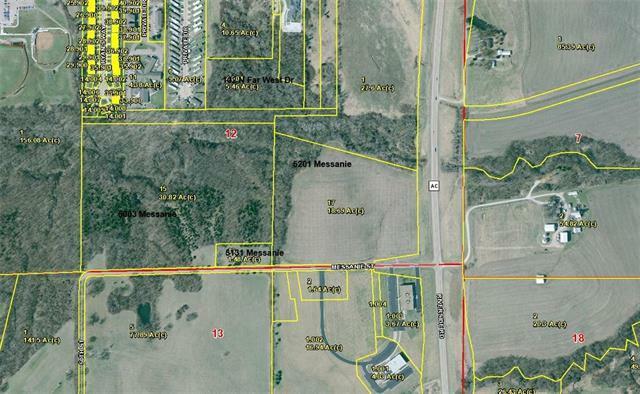 Large 18+ acre lot at corner of Messanie & Riverside. Excellent for mixed use development, office student housing or residential development. Sewers to property. Zoned P-2 precise plan. 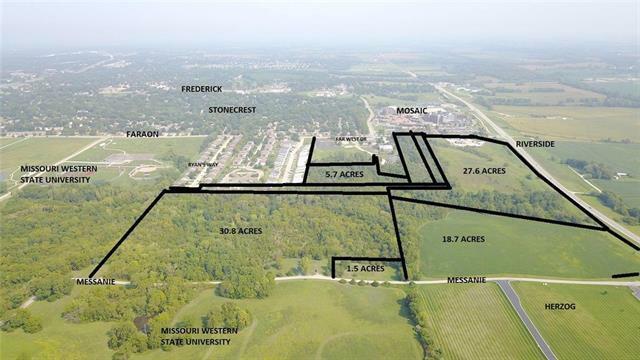 Could be combined with 5003 Messanie, 5131 Messanie and 102 Far West Dr for large development property total 56.45 acres adjacent to Missouri Western State University & near the hospital. Package of 5003 Messanie (30.82 acres), 5131 Messanie (1.5 acres) and 5201 Messanie (18.69 acres) totaling 51.01 acres with price of $1,700,000.